The raid was conducted after it was found that the centre was being run without any permission. More than 200 patients who were kept at the centre were sent to their homes. The families of inmates who were rescued from a drug de-addiction centre at Ropar on October 16 say that closing a drug de-addiction centre is not a solution and the administration must make some alternative arrangements for the treatment of the patients. 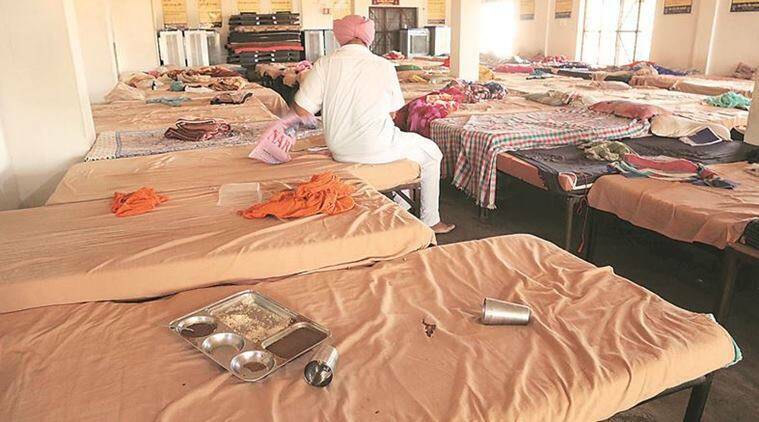 During the raid, the police had arrested the owner of the drug de-addiction centre, Khushwinder Singh, and asked all the families of the inmates to take them along and admit them to other de-addiction centres. The raid was conducted after it was found that the centre was being run without any permission. More than 200 patients who were kept at the centre were sent to their homes. The mother of an inmate from Ludhiana claims that her son was a drug addict and they got him admitted to the Jhanda Sahib drug de-addiction centre around a year ago. However, after coming from the drug de-addiction centre, he again started taking drugs. “He did not take any drugs after coming home. But after three days, he again started taking drugs and beating us. We have fixed our daughter’s marriage on January 10 next year. If my daughter’s in-laws get to know about my son, they could break the marriage. If the administration wanted to close the centre, they must make alternative arrangements,” she said. A Balachaur resident whose younger brother was also an inmate at the drug de-addiction centre at Jhanda Sahib says that his brother’s condition worsened after coming from the centre. “The administration must keep in mind that if we could take care of the drug addicts then why would we get them admitted to the drug de-addiction centres? It is very difficult to handle a drug addict,” he said. A Kurukshetra resident whose nephew was admitted to the centre claims the police started calling them in the night when the raid was conducted and asked them to take their patients immediately. He says his nephew cannot be kept at house as he creates a lot of nuisance and beats up his wife and other family members. A man from Jalandhar who works as a labourer and whose son was admitted to the drug de-addiction centre used to pay Rs 15,000 per month for his son’s treatment. “My one son is in Dubai. He used to send us Rs 15,000 per month. We paid the money to the drug de-addiction centre but now with the closure of the centre, our money has gone waste. We are already facing hardships. The administration must think about us too. They must shift the patients to other drug de-addiction centres,” he said. A retired Army jawan started taking drugs around four years ago. His family admitted him to the drug de-addiction centre. But now he is back at home at Hayatpur Jattan village in Saheed Bhagat Singh Nagar and has again started demanding money for drugs. His father said that they could not afford the money, he was 68-years-old and already taking care for his son’s two children. The father of another patient said that in the last nine months he had spent Rs 3.5 lakh on his son’s treatment. “He used to beat us. We can’t live with him, so we admitted him to the drug de-addiction centre,” he added. Ropar Deputy Commissioner Dr Sumeet Jarangal told Chandigarh Newsline that he would personally call all the DCs of the districts concerned to which the patients belonged and they would make all possible arrangements for the patients.